I am not a primer fan so firstly I slap on my trusty Steam Cream which is absolutely my most favourite moisturiser of late. Unless I have a sudden breakout and need to use a blemish specific cream this moisturiser graces my face every single day. I tend to use a small amount in the mornings so my make-up just sits nicely on top, whereas in the evenings I cannot get enough of this on my face and slather on half a pot!! I fill in my eyebrows where they are a little sparse with No7 brow pencil and then line my upper eye with Lancome Le Crayon Khol Noir. Now this is a pretty lame eyeliner really.. it smudges but not in a good way, and i find it comes off almost completely by lunch! I am using it at the moment until I find an amazing pencil to replace it!! Thickening my lashes at the moment is Bella Pierre's Lash Building mascara. This was a product I received in a beauty box and being a fan of Bella Pierre products I immediately made room for it in my makeup bag. It is a fantastic mascara for everyday use and is just the right shade of black! One thing I don't do in my daily routine is curl my eyelashes. Reason being is my lashes are actually pretty darn long and being blind as a bat I wear my specs everyday at work, so when curled my lashes stick to the lens and drive me absolutely mental!!! So there is my every day makeup routine.. Phew looking at it it looks like a look of products for one little face!! I would love to hear from more dewy skin lovers about the products you are loving.. Oh and recommendations for an amazing eyeliner pencil??! 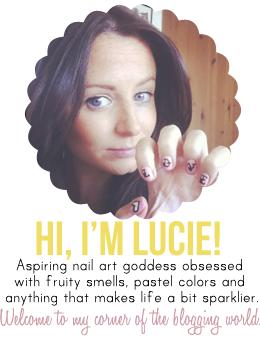 Some lovely products :) Your nails look really cute! Lovely products! The Chantecaille tinted moisturiser sounds like a really nice product, I've been curious to try that brand but it's just so pricey where I live. The Ecotools blush brush is so soft :) Your nails are gorgeous, I absolutely love the leopard print and the pink!